This is a card silk. If you follow the work of Tamariz and other greats, you know there is so very much you can do with a card stilk. 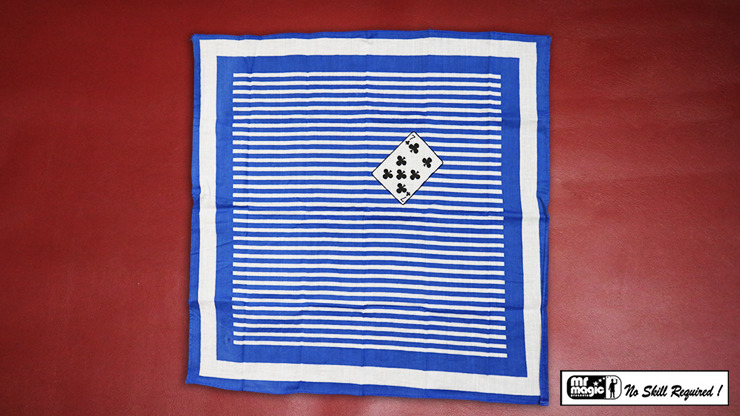 A beautiful blue and white hanky with a card printed on a corner. This hanky is to be used for an effect in which your spectator's selected card has been predicted beforehand on the hanky. Community questions about Card Impression Hanky 22" x 22"
Review Card Impression Hanky 22" x 22"